Iris Murdoch's first novel is set in a part of London where struggling writers rub shoulders with successful bookies, and film starlets with frantic philosophers. Its hero, Jake Donaghue, is a drifting, clever, likeable young man who makes a living out of translation work and sponging on his friends. A meeting with Anna, an old flame, leads him into a series of fantastic adventures. 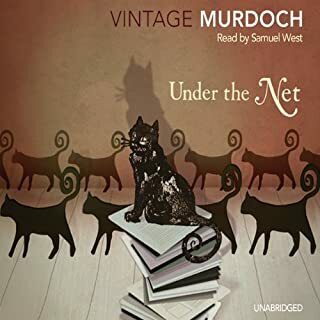 Under the Net, Iris Murdoch's entertaining first novel,presents a difficult task for any narrator . The story is told in the first person by a complex contradictory character Jake Donaghue -likeable but flawed, perceptive but often obtuse - and the narrative ranges from knockabout comedy to philosophical discussion.All these challenges are successfully met by Samuel West in this excellent reading. He judges the tone of each episode with great discernment and besides giving a convincing voice to the principal character West also succeeds in bringing to life all the characters Jake encounters. 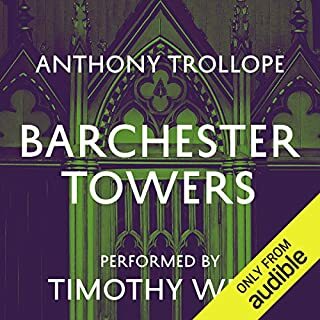 His intelligent interpretation will greatly add to the understanding and enjoyment of most readers -as with Timothy West's reading of Trollope, such an excellent performance gives listening to the audio book a distinct advantage over reading for oneself. I hope that Samuel West will read more novels by Iris Murdoch. Poetry can capture the imagination in a few short lines but narrative verse or poetry takes the form of telling a story whether it be simple or complex in a longer form. Among the most ancient forms of poetry it has widespread roots through almost every culture. 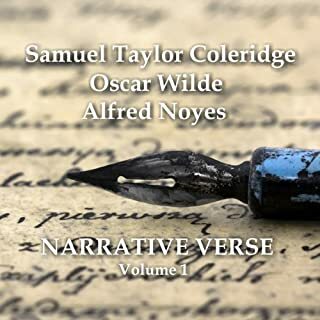 In Volume 1 we bring you 'The Ballad of Reading Gaol' - Oscar Wilde; 'The Highwayman' - Alfred Noyes; and 'The Rime of the Ancient Mariner' - Samuel Taylor Coleridge. Narrative poems are not a popular genre today and some listeners may not be familiar with these works. But both readers give accompished and committed readings of these poems which make these audiobooks an ideal introduction to the pleasures of narrative verse.It is perhaps no surprise that such actors give fine accounts of The Ancient Mariner and The Pied Piper but such poems as Sohrab and Rustum - which had always seemed to me too calculated and deliberate in its effects-and The Prisoner of Chillon here also comes across as a passionate and gripping narrative. I have listened to the four volumes of Narrative Verse and recommend them all strongly.There are many other narrative poems worth exploring. More such poetry audiobooks please. The death of Prince Andre in War and Peace and the death of Levin's brother in Anna Karenina are among the most memorable scenes depicting death in world literature. But in this short novella Tolstoy surpasses his earlier achievements in the unflinching portrayal of the death of a self-satisfied public official. Satire on the inauthenticity of most ordinary existence is joined with acute psychological insight into the effect that death has both on the dying person and on those around him. I remember the overwhelming impact reading Tolstoy's story had when I first read it as an adolescent many years ago. 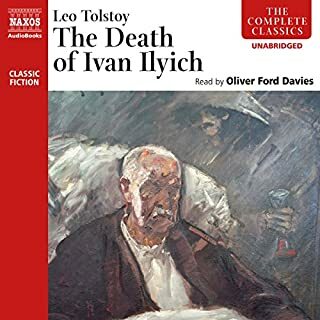 Now from a very different perspective this superb reading by Oliver Ford Davies is no less powerful : throughout he judges the tone and variety of Tolstoy's writing with great intelligence and insight and has the dramatic ability to convey the author's insight into both major and minor characters. Such a reading provides effectively constant illumination into the text and the total effect is most moving. There are a number of readings of this work but I am sure this is the one to have. Strongly recommended. I can only hope that Naxos will employ Oliver Ford Davies to read Master and Man,Hadji Murat, the Kreutzer Sonata,etc. This is a long, rich complex historical novel and for many people this unabridged audio version will be an excellent way to get to know such a lengthy work. But some caution may be necessary . Simon Slater reads the basic narrative well and gives a gripping portrayal of Thomas Cromwell, the main focus of interest in this account of the reign of Henry VIII to 1535. But although he is clearly aware of the necessity of some differentiation for other important characters, his solutions are not always convincing and fail to do justice to the subtlety and detail of Hilary Mantel's writing :Cardinal Wolsey sounds dimwitted, Thomas More - far from a saintly character in this novel- sounds sly and slimy and the old nobility blustering idiots. In each case there is an element of truth in the portrayal but they come across too often as cardboard cut-outs. 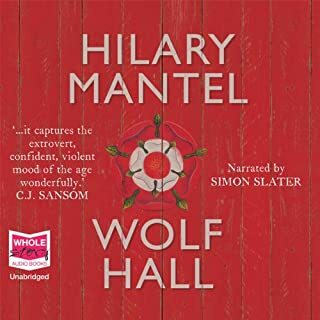 Most readers will also find that they will need to have or to acquire a good knowledge of Early Tudor history to appreciate fully what Hilary Mantel is attempting in this book. There is much fascinating detail and insight to enjoy but in the end I was left feeling the book could profitably have been more tautly focussed and better structured ? it seems to peter out rather than reach a proper closure -is a sequel intended? Certainly then on the whole a worthwhile audiobook but be prepared for a text that is occasionally self indulgent ? repetitious and over detailed ? and a reading that is enjoyable but unconvincing and inadequate in places. When her grandfather dies, Tamar inherits a box containing a series of clues and coded messages. Out of the past, another Tamar emerges, a man involved in the terrifying world of resistance fighters in Nazi-occupied Holland half a century earlier. Listening to audiobooks every so often you may come across a book you might never have chosen to read but which turns out to be a most memorable and enjoyable experience - this is such a book. Although this novel may have originally been written as a children's book, like all the best such books it needs no allowances made: it is a gripping, moving and in the end surprising story excellently told and superbly narrated by both readers. The impression given of life in occupied Holland is fascinating. There will, I suspect be few listeners who do not find their attention seized and emotions moved by this audiobook. 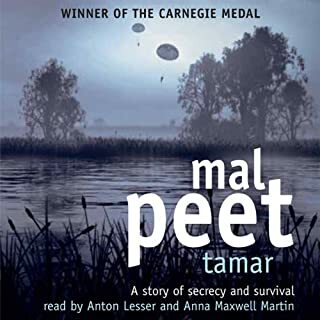 Mal Peet is clearly a name to watch. Barchester Towers is perhaps the most enjoyable novel of an author whom it is almost always a delight to read. Perhaps the novel does not scale the heights and social criticism is mild and muted in comparison with other Victorian novelists.But there are few readers who will not enjoy the portrayal of the Archdeacon, Mrs Proudie ,the egregious Mr Slope and many other characters. 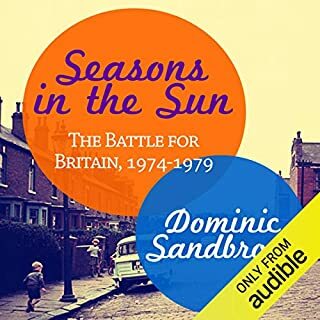 When in addition the novel is superbly read by Timothy West, this becomes an outstanding audio book. He judges the varied tone of the narration to perfection and differentiates and portrays the various characters so well that listening one forgets that there is just one single reader. I'm sure that I will not be alone in finding that listening to these novels read by Timothy West is more rewarding and enjoyable than reading the book for oneself. Strongly recommended as are all of Timothy West's readings of Trollope. The accelerating changes of the past generation have been accompanied by a similarly accelerated amnesia. The 20th century has become "history" at an unprecedented rate. The world of 2007 was so utterly unlike that of even 1987, much less any earlier time, that we have lost touch with our immediate past even before we have begun to make sense of it - and the results are proving calamitous. 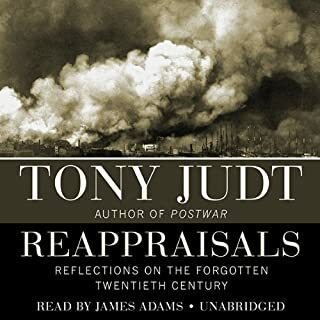 These cogent, closely argued essays published in a variety of periodicals over many years provide a valuable interpretation of many aspects of recent history.Tony Judt writes excellently with both passion and intelligence, and always has a well considered approach to each subject and is not the least afraid of reaching controversial conclusions. Many readers might disagree with his views on Israel, America and many other topics, but what he says always deserve serious consideration. Perhaps the most approachable essays are those on such figures as Primo Levi, Albert Camus and and Eric Hobsbawm, but even more obscure topics -communism in Romania, Althusser, political problems of Belgium -are made interesting James Adams reads the text in an alert and straightforward manner which is what is required. This is hardly a book to which one might listen for relaxation, but taken one essay at a time it provides much intellectual stimulation and food for thought . Strongly recommended. 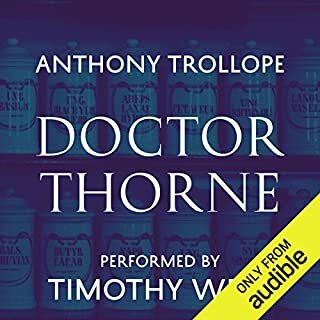 Doctor Thorne is the third audiobook in Anthony Trollope's series known as the Chronicles of Barsetshire. Long regarded as one of Trollope's greatest works, it is a complex story of love, greed and illegitimacy. Set in fictional Barsetshire, it concerns the romantic challenges facing Doctor Thorne's penniless niece, Mary, and Frank Gresham, the only son of the impoverished squire of Greshambury. Mary falls in love with Frank but he is constrained by the need to marry well to restore the family fortunes. In truth this is not a great novel - the plot is ponderous and predictable, the characters are interesting but generally without great depth.Yet Trollope is a compassionate and often acute observer of human nature and Victorian society,and Timothy West's superbly judged and always entertaining reading lifts what might otherwise seem prolix mediocrity into a most enjoyable audiobook. Trollope read so well is a rare treat. 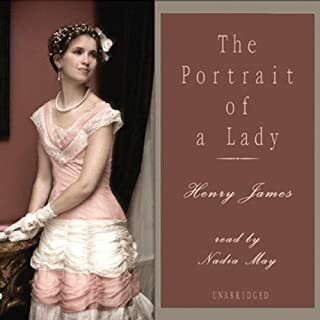 The subtleties of Henry James's style might not seem designed to be listened to as an audio book. But in fact this reading works excellently since Nadia May always shows insight and understanding of the text, so that the reader's attention is held both during long passages of analysis and reflection and during dialogue, where she distinguishes and projects the various characters most convincingly.James' text does repay slow and careful reading,but for many people this reading may be an excellent way to get into a novel which is demanding but very much worth the effort.